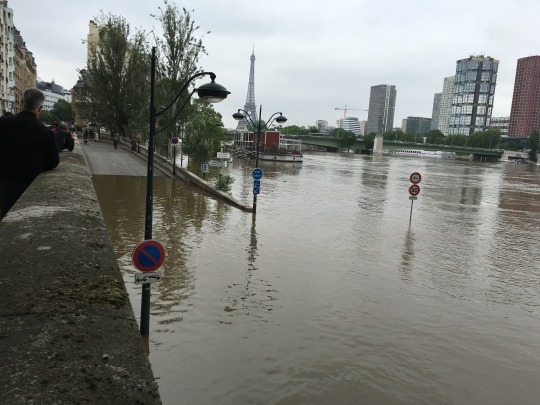 Last week, we arrived in Paris to an overflowing Seine and heavy traffic due to roads underwater. Even the Louvre & Musee d’Orsay closed for a few days and treasures were relocated to top floors. 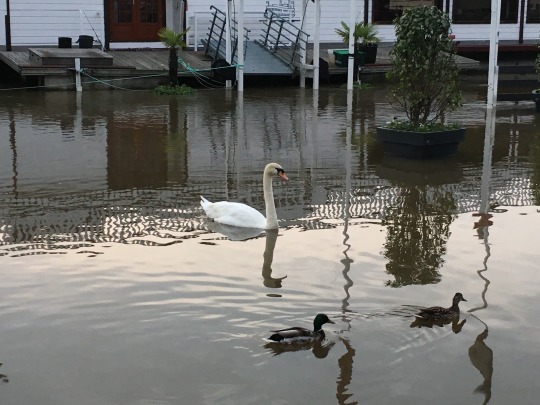 The water was about 20 ft higher than normal. Hasn’t been this high since 1982 and before that 1910. 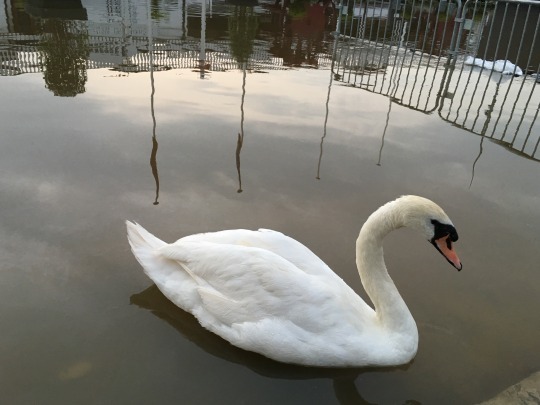 See this comparison in photos with that Great Flood: http://imgur.com/a/k5I6M, and below for a few of my own views. Road closed. Normally a lane of traffic. 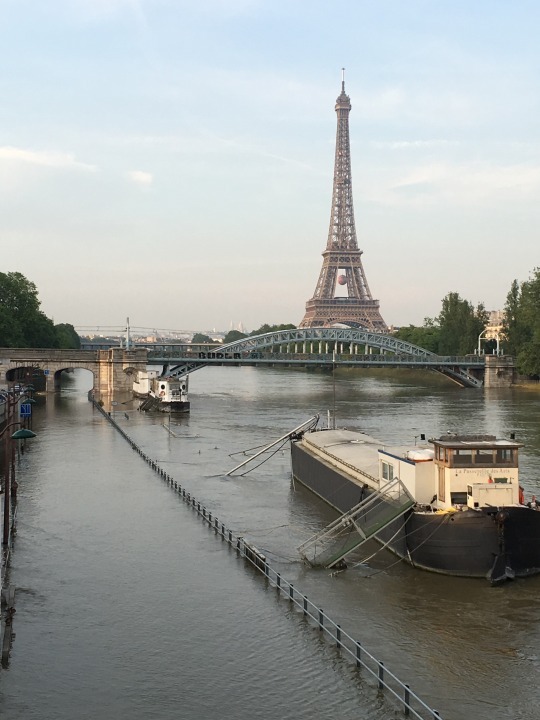 No cruise ship nor the tourist bateaux mouches could maneuver under the bridges. 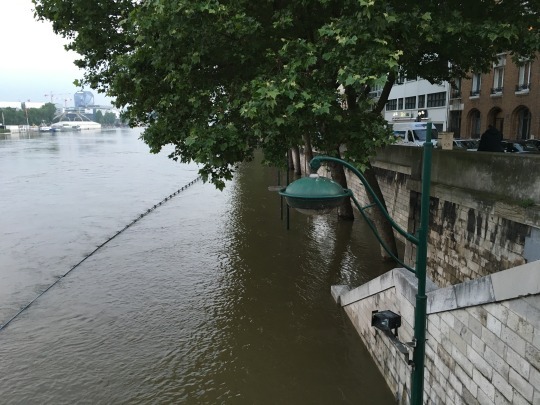 My neighborhood jogging route (now a water park for ducks) on the lower quay next to the Seine is still overflowing (see photos below) as is a major lane of what is normally car traffic. You can see the guardrail even with the water in the photo above. The water has receded about a foot, but the road is still below water and closed. Our rental apt is high up on the fifth floor and a block inland so happily we weren’t inundated. Pont Mirabeau. The statues are usually in full view. 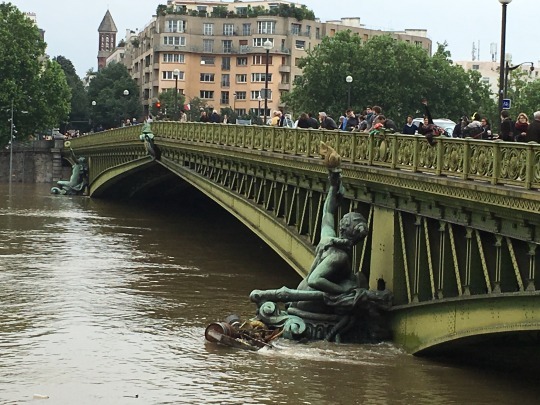 No boats traversing under the bridge as Parisians observe the Seine. The water wasn’t the only thing backed up. The tennis matches at Roland Garros managed to finish on time, but the players had few days off as matches piled up and rain delayed play. Wind and temps in the 50s made it less than ideal conditions. Bundled up in 54-degree weather on June 2nd and under ominous skies, we watched the quarterfinals on what was supposed to be the semis. Perhaps few days crammed together caused a tired Serena to lose the final. But the men had a day off and Djokovic secured the one Major that has eluded him. A bit more rain around town. 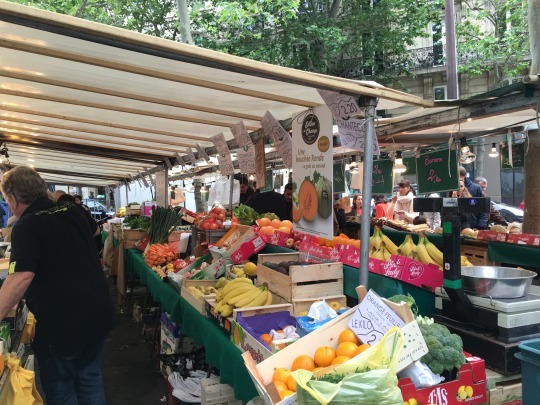 Still, it’s Paris and life springs forth at our local market, and today the sun blazed its way onto the scene bringing 70-degree temps. Perhaps, summer has finally arrived. Auteuil Marche, Paris 16th, a ray of sunshine in the midst of flooding. 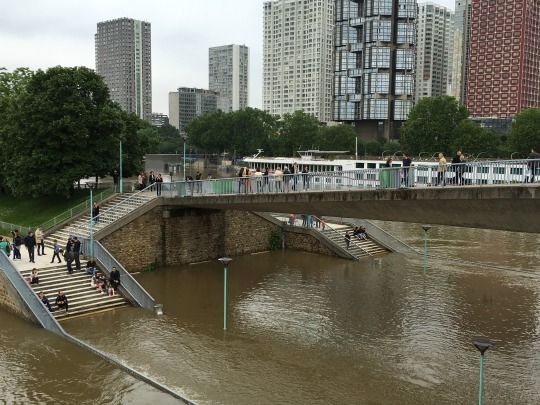 Pont Grenelle park where locals and tourists lounge on benches currently underwater. 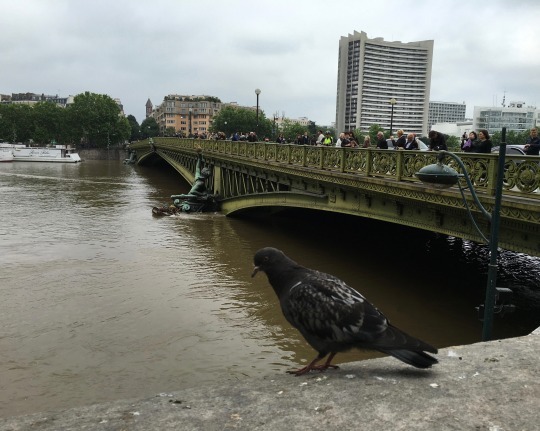 Even a pigeon contemplates the scene. A few feathered friends wade along my jogging path. Water receding and street guardrail now visible.